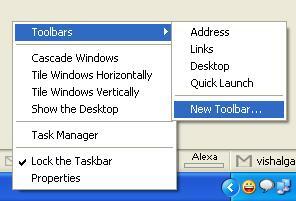 Home Quick Tips How To Access Files & Folders From Your Taskbar! This is an easy way to get to the folders on your system without having to open a Windows Explorer every time you want to access files. I find it very useful to have this feature as it allows me to access my Folders and Drives immediately and saves me a lot of time.So i am sharing this trick with you. The New Tool bar will appear at the bottom of your screen next to your System Tray.You can add as many as new toolbars to quickly access the files and folders. 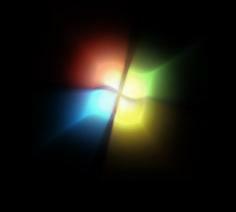 Previous: How to Customize folder background in Windows XP!